A good Dungeons & Dragons adventure needs some good dungeon traps! 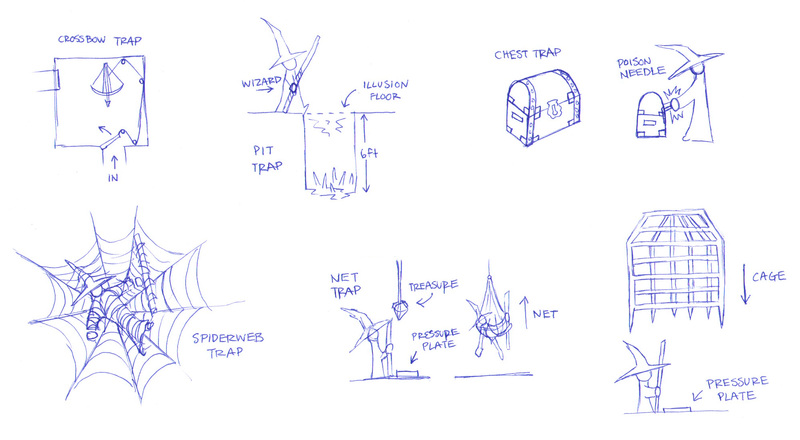 Here are just a few trap ideas I quickly sketched up to get your dungeon master thinkers workin'. The best traps are ones your characters have a chance of overcoming with some patience and collaboration, but a misstep, failed check, or blatant disregard of obvious clues may leave the party impaled or under some ancient being's mind control poison. Which sounds like a great way to start your next adventure. 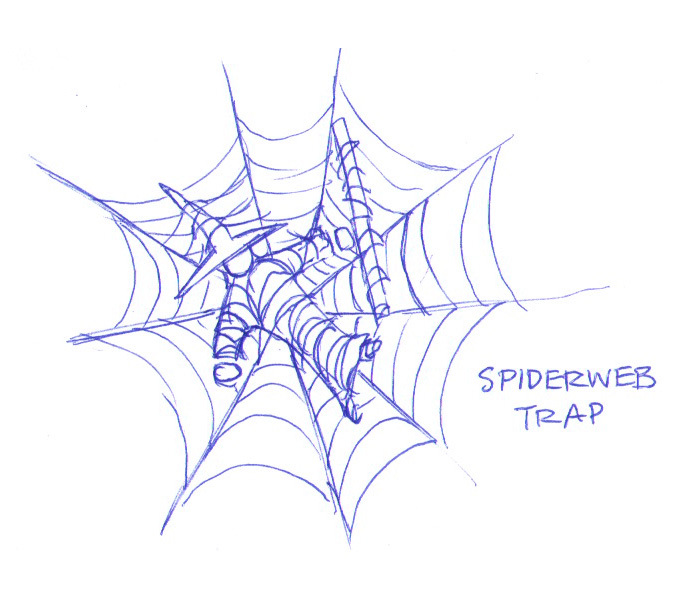 Share some dungeon trap ideas in the comments and I'll try to sketch them. 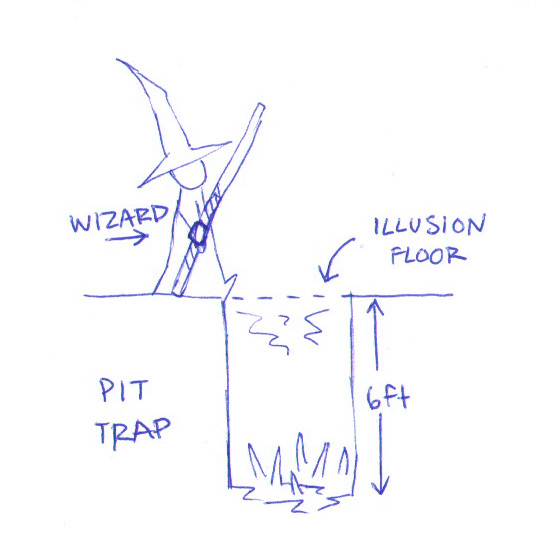 The classic spike pit trap under a breakaway floor or illusion. Remember to roll for falling damage as well as the spikes! A non-lethal net trap that scoops the characters up and strings them up in a tree. Think Ewok trap from Return of the Jedi. A chest that when picked or unlocked injects a poison syringe into the hand of the opener. 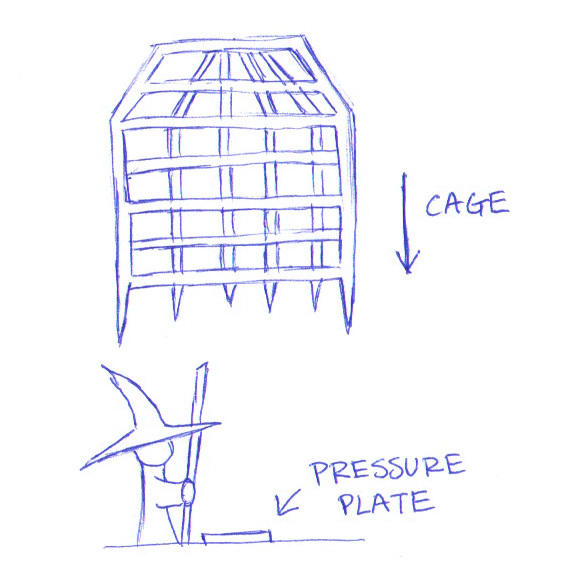 When a hidden pressure plate on the floor is stepped on a barred metal cage with no doors is dropped on the characters. Time to get out those hundred-siders and roll for Bend Bars/Lift Gates. 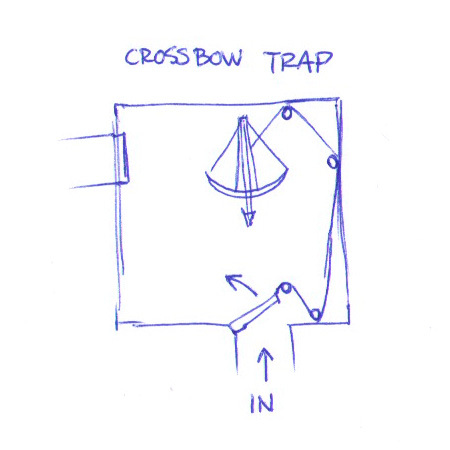 The classic and always useful trick crossbow that gets triggered via pulleys as soon as someone opens a door to enter a room, cave, or passageway. Lurking around the corner of a cave, in Tankard Tom's musky old cellar, or in a deep dark forest, where there are giant spiders, there are giant spider web traps.